Can You Use Resistance Bands For Pull Ups? and are a great showcase for people who have a good strength to bodyweight ratio. 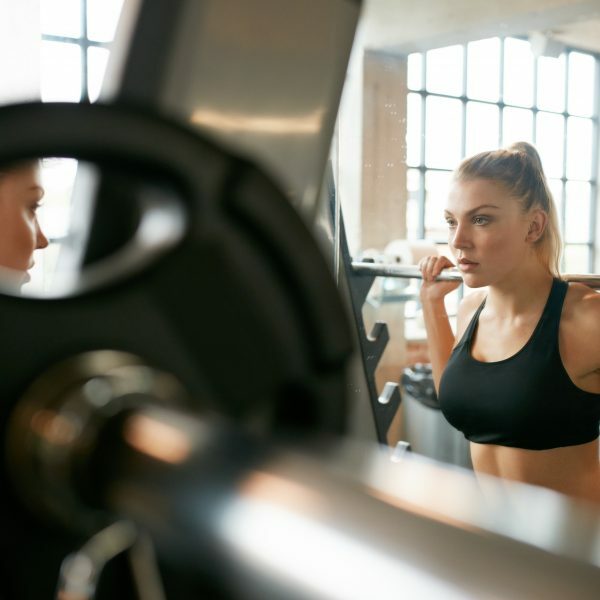 If you can perform pull ups, then you may never queue for a lat pulldown in a busy gym again – instead you can find a pull up bar and get going immediately. Grab a pull up bar using an overhand grip (palms facing away from you) that is slightly wider than shoulder width apart. The stronger you are the wider you can make that grip (wider grips target the latissimus dorsi muscles more). Suspend yourself from the bar and then push your chest out and lean back very slightly. Take a deep breath and then pull yourself up to the bar until your clavicle (collar bone) is in line with it, make sure that your elbows are flared throughout the movement. Pause at the top and then slowly lower yourself back down again. The slower you do so, the more work you are doing eccentrically (the lengthening of a muscle) which means better muscle strength and size gains. Stop when your arms are almost fully extended, pause, and then raise yourself back up again. Try to get as many reps in as you can without cheating (which usually involves bucking your legs and flailing like a fish out of water). The main muscles worked during a pull up are the Latissimus dorsi, the trapezius, and the biceps. Other muscles in the upper back and arms such as the Rhomboids, Brachialis, Teres major and Teres Minor, are also worked – but to a lesser extent. There are many benefits to perfecting your pull ups, they are one of the best exercises for building upper back muscle (particularly if you can progress to weighted pull ups), they are convenient and don’t take up much space, they have a greater hormonal impact than resistance machines (increased testosterone and growth hormone release). They also have many variations that can change the intensity on each muscle (underhand grip can increase bicep activation). The biggest downside for pull ups is the difficulty in performing them, unlike the other main bodyweight exercises (push ups, squats, lunges etc), pull ups are incredibly taxing and require a lot of upper body strength. They are also famously difficult to regress, so while you can easily make a push up easier by dropping to your knees, it is much harder to do the same with a pull up. You can perform inverted rows, which is where you set up a bar at waist height and then lie underneath it. When you pull yourself up you are lifting a much smaller amount of your body weight- making it easier. The downside of this is that it doesn’t target the lats half as much as a pull up would. Luckily the use of resistance bands for pull ups has now become a common exercise. All you need to do is place the resistance band around the bar so that there is a loop for you to put your knees in. This takes away a large amount of your bodyweight, so instead of having to lift: let’s say 70kg, you would instead only have to lift 50kg, or 40kg (depending on the strength of the band). Suddenly you can now perform pull ups with perfect form, and build up your strength that way – until you can eventually progress to unassisted pull ups. But even if you can perform unassisted pull ups, you can still benefit from resistance bands. This is because they can allow you to hit much more reps than you would normally be able to, meaning that if you usually manage 6-10 reps in a set – you can now hit 15-20 and increase hypertrophy (muscle size) and muscular endurance. You can also use them for drop sets, or back off sets after you’ve completed your usual 3-4 sets of low reps.
Resistance bands will also help people to perform pull ups with a wider grip, these are the hardest to perform and usually limit the amount of reps possible. With resistance bands you can now perform very wide-grip pull ups in a higher rep range.